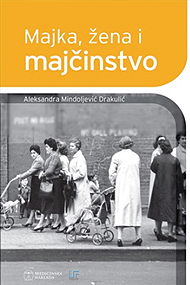 Mindoljević Drakulić, A. (2017) Living with a malignant disease – creative curriculum for parents, students and teachers. 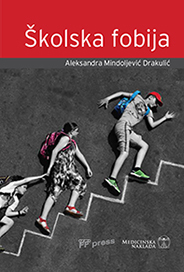 MEP, MijelomCRO & Faculty of Humanities and Social Sciences University of Zagreb FF Press. “…A malignant disease is a source of tremendous stress for all family members, and in particular for the children, who happen to be very sensitive population. During the process of coping with a malignant disease, a lot of unresponded questions arise. This manual is for sure going to answer many of those questions. „…The book comprises four chapters. From a methodological and conceptual point of view they are designed so as to explicate phobias ranging from myths displays and historical source descriptions to contemporary aspects and suggestions for different treatments. As the nature of phobia and interventions on them are nowadays primarily interpreted within the framework of integrative models, the main subject is in this book processed two-sidedly: in psychoanalythic and behavioural way. From the author’s preface: Mother occupies the central place in the gallery of characters in this book. She is the psychoanalysts’ favourite object of study, the first desired prototype that is imitated, almost angelic ideal figure pledged to harmony, tenderness, love and beauty. However, mother is also an illusion of an ideal, tragic, marginalized and underestimated figure of darkened brilliance associated with suffering, decay, sacrifice and masochism. The book contains 10 chapters. The first and second chapter of this book talk about paleolithic and neolithic culture of matriarchy from the psychohistorical perspective, as well as the dethronement and masculinization of the so called Great Mother. The third chapter includes mythical and fairy-tale depictions of mothers with special emphasis on the relationship of Demeter and Persephone, as well as on some old Slavic legends about evil (step)mothers. The fourth chapter provides a review of the ancient patriarchal and narcissistic society that has contributed to social frustration of mothers and their sense of dysfunctionality, which gave an impetus to the strikingly increasing misogyny. The climax of misogyny and satanizing of biological motherhood of the Middle Ages is described in the fifth chapter. The sixth chapter gives a picture of the modest, subordinate and obedient Victorian mother of the western world, while the following chapter deals with Bowlby’s theory of attachment and maternal deprivation. The eighth chapter discusses the concept of Winnicott’s good enough mother, and the ninth chapter gives an overview of Melanie Klein’s object relations theory. At the end of the book, in the tenth chapter, motherhood is portrayed as a complex social category that stems from a variety of contemporary discourses of the 21st century. Mindoljević Drakulić, A. (2013). 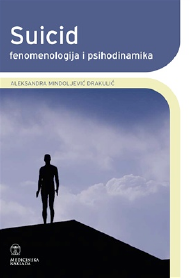 Suicide: Phenomenology and Psychodynamics, Zagreb, Medicinska naklada. “The university textbook “Suicide: Phenomenology and Psychodynamics” is an original work, because its authoress deals with her subject matter in a unique way, combining insights from various areas of science (from neurobiochemical, through psychological to broader historical, anthropological and sociological). Such an interdisciplinary approach expands understanding of the phenomenon in question by putting it in a broader context, which will encourage students from different colleges to study it comprehensively. The proposed text presents various aspects of suicide and suicidal behaviour in a versatile, multifaceted and stimulating way. Logically connected insights are described concerning various ways of dealing with suicidal disposition, epidemiology and etiology of suicide, psychiatric disorders including suicidal tendencies and their treatment, and psychodrama as a specific psychotherapeutic technique that offers its own ways of dealing with a depressive and suicidal person. This book is indeed a unique contribution to our scientific literature. What distinguishes it from recently published textbooks on suicide is above all its anthropological and historical approach. 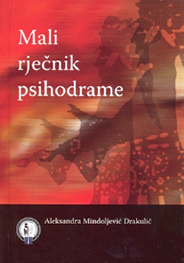 “Small Glossary of Psychodrama Terms” written by professor of psychology, Alexandra Mindoljevic Drakulic, is a unique contribution to the profession of psychology and psychotherapy in Croatia. This is the first time anyone has ever systematized the psychodrama terms. On the internet, there are only a few psychodrama glossaries in English available, which contain not more than about 30 basic terms. This guide offers over a 150 new, modern and fully terminologically elaborated psychodrama concepts, with some additional terms related to other psychotherapy fields, such as psychoanalysis and group psychotherapy. Therefore, it is recommended as complementary but also mandatory psychotherapy literature, as well as an additional tool for exploring the specific lexicography that psychodrama certainly offers.